* Length: Fringe 5.5", Crown 16", Nape 9"
It is a beautiful wig with a sleek style. The fashion forward look is an irresistibly feminine design with soft layers and razored edges. 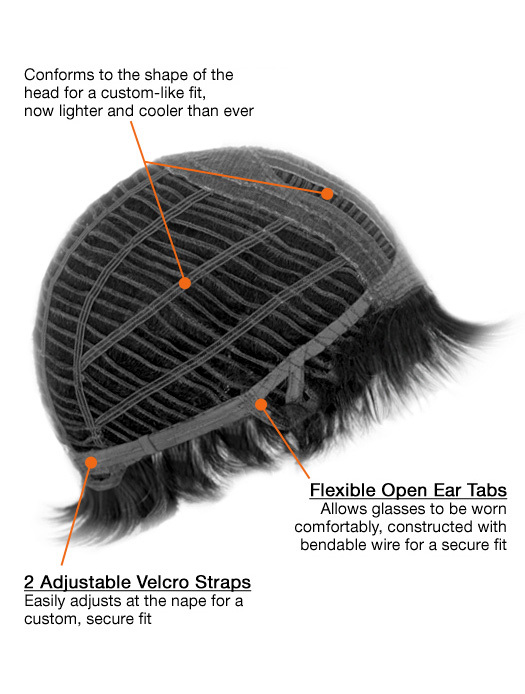 This wig also includes adjustable velcro tabs. this one definitely a favouriteBought the color 27B which is stunning and very natural with lovely highlights. Style great but had my hairstylist trim the fringe and slightly thin the sides to look more natural. I have tried many wigs due to general hair thinning and this one definitely a favourite. Friends comment that it has taken years off me and if they didn't know would never guess it was a wig. I recommendI received the wig a week ago, and I just 'Love' it, the color fits my skin tone beautifully and the hair texture is really soft and natural. Perfect choice.. I recommendNo complaints what so ever! Price ok and shipping as well. Will be ordering another soon to have on hand before the price increases! love this wig on my GirlfriendI love this wig on my Girlfriend. At first I was hesitant about her wearing a "wig," I mean, were not 50 yet, but "wow," and no one thinks it's a wig. so beautiful and easy to wearThis was my first wig and I will definitely be ordering more! 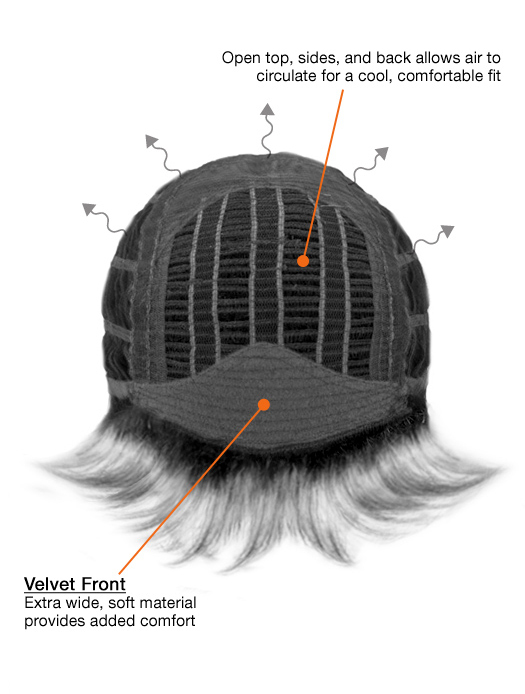 The hair quality and density is so realistic, the cut worked right out of the box, and the cap is super comfy. I love this style - so beautiful and easy to wear.